Do you really see yourself clearly? People come to me confused about why things aren’t working. Why they aren’t losing weight. Why they aren’t gaining muscle. Why they aren’t getting stronger/fitter/faster. The first thing I ask them is to take a closer look at what they are TRULY doing. What does your diet or workout program truly look like? You know what I most often hear back? Not the facts. Just excuses. Well I had only a little bread. Oh well I couldn’t come in on Wednesday for an hour because of work. Oh I was tired. Oh I didn’t feel 100%. Oh well I was hungry. Oh well someone brought in snacks. Oh well…. Seriously I’m sick of excuses. I’m sick of whining. Freaking just do it people! Stick to the diet. Don’t just have a “little” bread. Stick to the workout program. Don’t go easy because you are a “little” sore or you have too much work that day. There will always be excuses – there will always be things that can get in the way. But if you want results, you need to work to get them. I was inspired to write this post because of all the whining I’ve heard recently and this old Nike ad. Next time you whine, think seriously before you do it! 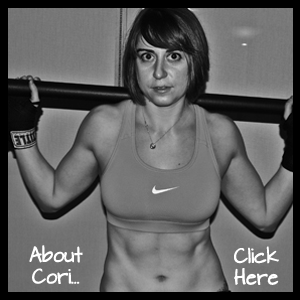 Posted on June 18, 2012, in Man Biceps, Show me yours, Uncategorized and tagged diet, excuses, nike ad, no excuses, whine, workout, workout program. Bookmark the permalink. Leave a comment.